Birth - 5 years. 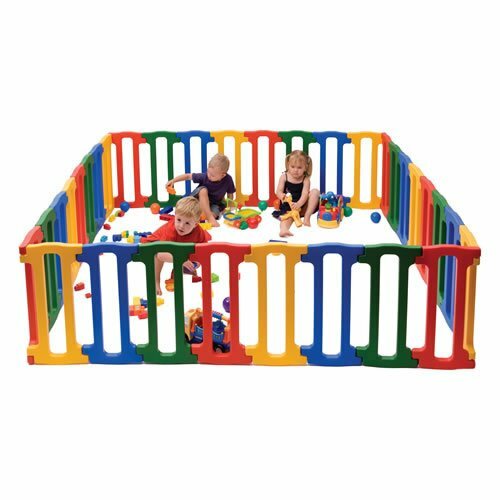 This bright and colorful playpen is also tough and durable. Made of high Density Polyethylene with rounded edges and corners this playpen can take on lots of different shapes. This set includes 32 individual panels, 8 yellow, 8 blue, 8 red and 8 green. Suitable for indoor and outdoor use. Assembly required. Height is 23". If you have any questions about this product by Kaplan, contact us by completing and submitting the form below. If you are looking for a specif part number, please include it with your message.